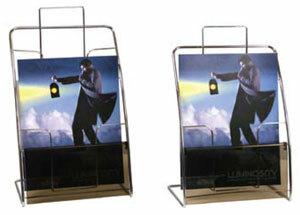 A great table top display for your literature. Available in a two and three pocket configuration. Holds 8.5" x 11" collateral. Sold in packs of two.